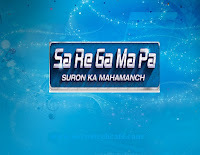 Sa Re Ga Ma Pa is back with its new season in 2016 which is tentatively titled as 'Sa Re Ga Ma Pa 2016 -Suron Ka Mahamanch'. This show is an Indian Music based reality show which was started in 1995 and as of April 2012, it had successfully completed his 16 seasons . Zee TV's popular singing talent show 'Sa Re Ga Ma Pa' to come back with its new season for year 2016. Last season of the show was hosted by Javed Ali.In this season Aditya Narayan will be seen as host of Sa Re Ga Ma Pa 2016 -Suron Ka mahamanch. India has always been fascinated by artists and art lovers right from the ancient time. This is the reason why India has produced many artists in the years gone by. Ever since its inception, ZEE TV has been promoting young talents, by giving them various opportunities and platforms to display their talents. 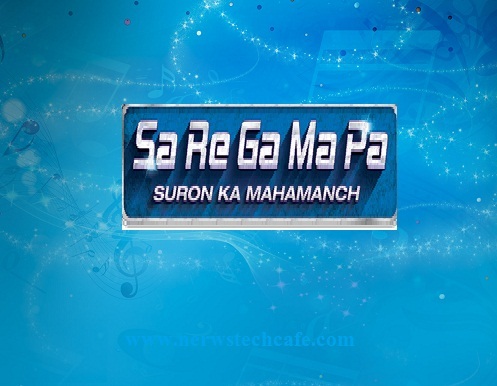 Sa Re Ga Ma Pa 2016 is one such platform which nurtures the hidden talents of budding singers. An ultimate singing platform, with a rich legacy of over 19 years, "Sa Re Ga Ma Pa 2016 " is all slated to rock the TV screens. It is a unique show that has offered golden opportunities to many Bollywood singers like Kunal Ganjawala, Shreya Ghoshal, Shekhar Rajviyani, etc. Witness the aura of its unmatched credibility through the best in class mentors selecting the finest singers, which has left the whole nation speechless. Zee TV's 'Sa Re Ga Ma Pa', the first singing talent hunt show on Indian television has been instrumental in introducing the country to some of its demigods of music - Shreya Ghoshal, Kunal Ganjawala, Shekhar Ravjiani, Bela Shende, Sanjivani and Kamal Khan in the last two decades. This prestigious platform is a beacon of hope, giving thousands of aspiring singers an avenue to exhibit their talent season after season! Zee TV, India's leading Hindi entertainment channel, which captures the beauty of re-discovering a new ray of hope with every moment of life with its brand philosophy 'Har Lamha, Nayi Umeed' is back again to give audiences the true meaning of MUSIC. After its overwhelming success across the seasons, the show is back with a bang to scout for phenomenal voices, fresh talent & young energetic performers who will give a boost to the Indian music industry. In the coming days, Zee TV's talent scouts will conduct auditions in Bhubaneshwar, Guwahati, Chandigarh, Lucknow, Patna, Jaipur, Indore, Nagpur, Kolkata, Bangalore, Dehradun, Mumbai, and Delhi. So if you think you have the singing talent, then it's time for all of you to come to your nearest center/cities for the auditions. Known to have created history as one of the longest running musical competitions on Indian television, this season of Sa Re Ga Ma Pa Challenge will soon air on Zee TV! Show promo is not yet released by Zee Tv. We are waiting for promo as soon as we get any promo video of the show we will update it here. Till than we are sharing title poster of the show which is very beautiful . Hope you will like it also. Launch date of the show is finalized by Zee Tv channel. Stay Tuned with newstechcafe for more information about this show.